The Basset Table was written in 1701 and features several independent women, one of whom runs a card game where serious money is won or lost. 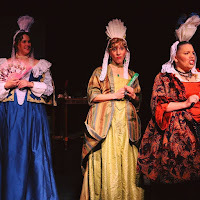 Lady Reveller (Julie Ann Grief) lives with her uncle Sir Richard (Don Larsson), who is not too pleased with his niece's gambling habit and wishes her to be more like her cousins, the demure Lucy (Alison Anderson) and the scientist Valeria (Lana Bean). He wishes to marry off his daughters and urges Lady Reveller to do the same. Of course that's exactly what happens in the end. But while the play still ends with everyone coupled up (like Shakespeare's comedies usually do), at least the getting there is perhaps a little less cliched and the women don't have to give up their interests, or hopefully their independence. Before the show starts, in the sweet little space that is Dreamland Arts in on Hamline Ave. in St. Paul, the actors mill around in character, chatting with the audience. 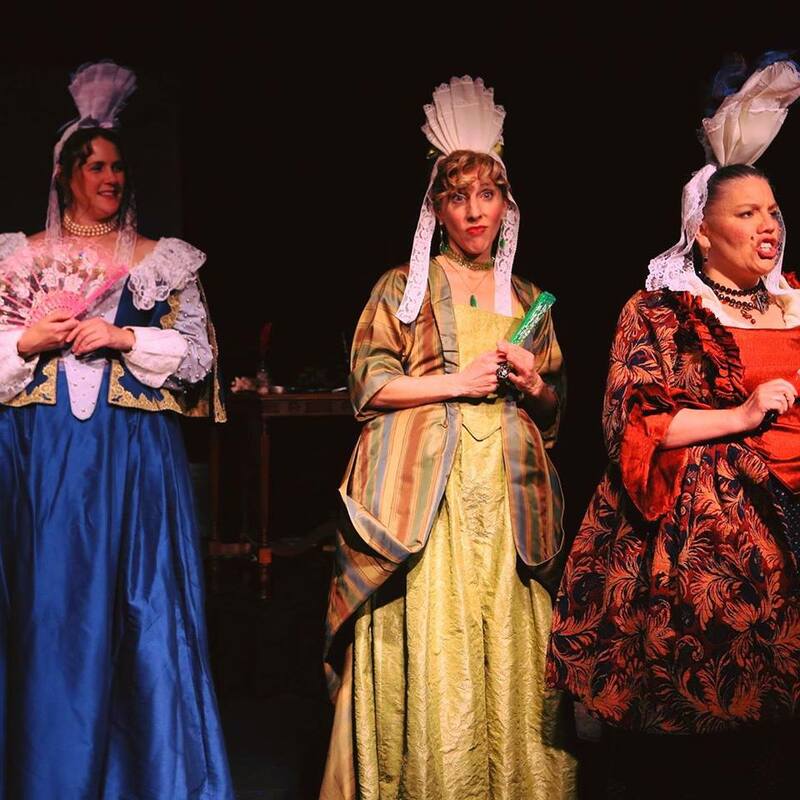 This playful spirit continues into the play itself, in which familiar troupes like silly/wise servants (including an amusingly over the top Allison True) and disguises make for some ridiculous comedy. The cast really commits to the campy tone under director Meggie Grievell, with some more poignant moments as well. The British accents are fun to listen to, if a bit inconsistent. The Basset Table is a similar feel to Shakespeare's comedies, but it's fun to get it from a women's perspective (and not as long - just over two hours including intermission). Continuing through April 22.